At Bunnyslippers.com, we know comfortable footwear of all types especially the soft kind. We guarantee that we have a pair cool socks that will catch your fancy; or they’ll help you catch the fancy of the people you fancy. We assure there’s nothing chancy about the quality of sock you see here. Now see here, socks are simple but our styles are far from that. 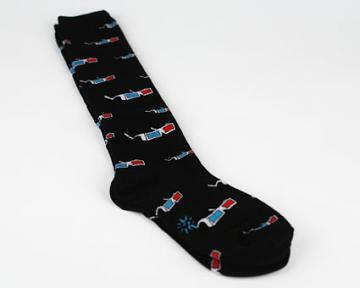 We’ve got socks with all sorts of patterns like cupcakes, ninjas, zebras and much, much more. There is a style of sock here for everybody from the aficionado of cute to the aficionado of mute. Never sacrifice looking good and feeling good ever again; give your feet two new matching best friends. When it comes to the comfort of our sock collection, only a pair of slippers could possibly cover your feet better.